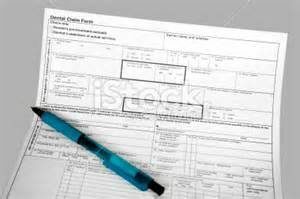 Over the last few years it has been increasingly difficult to obtain information from patient’s insurance companies. Traditionally our office will contact your insurance company to find out about your specific plan. Every company has numerous plans that have a great variety in maximum benefits, deductibles, and the percentages of procedures they cover. There was a time when finding this information was fairly easy. Since most companies now limit or refuse to give information to us, we wanted to let you know that as their client you are able to get information online. Most major insurance companies will let you log on to “check your balance”. This is how much in benefits you have left for the year and even what percentages of procedures are covered. At Healthy Smiles we will always try to get this information for you and will continue to pre-authorize treatment for our patients and help answer any questions we can about your plan. Pre-authorization is submitting treatment that needs to be done to find out how much they will pay towards the cost. This can be helpful for patient’s to budget their costs more exactly. Without a pre-authorization, we can only give an estimate on the amount the insurance company will pay. This means that in some cases this estimate will not be exact, and so there may be an additional cost remaining or a credit. We were recently informed from the company that Blue Cross will no longer answer pre-authorization requests for their clients (which is you!). We will continue to give estimates of any treatment costs for our patients. Another unfortunate change we have noticed with Blue Cross is how they process the claims we submit. They are extremely slow. We have seen some claims stay open as far out as a year! We will continue to follow up on these claims for our patients. However, there are times we may have to contact you for assistance if they persist in ignoring them. Insurance is great to help with cost, but can lead to a lot of stress due to all of the different rules and regulations they impose. Always be proactive and find out as much as you can from your employer or agent about your plan. Remember that some insurance covers both medical and dental but not all of them will; others will have waiting periods before you can use your benefits. All plans will have a maximum amount of money they will give for the year. Then they will pay a percentage of each procedure until that money runs out. After that they will not cover any costs until the insurance renews the following year. Most plans will renew January 1st, but not all. I hope this information was helpful. Always feel free to contact us with questions. 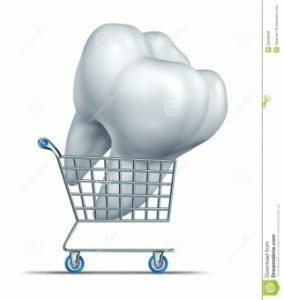 Previous Post: Are ALL Dental Products Right For You?